A pedestrian and a motorcyclist both received serious injuries in two separate incidents. The man was reported conscious and was transported to a local trauma hospital. Green reports neither drugs nor alcohol were factors with the cause still under investigation and no arrests were made. 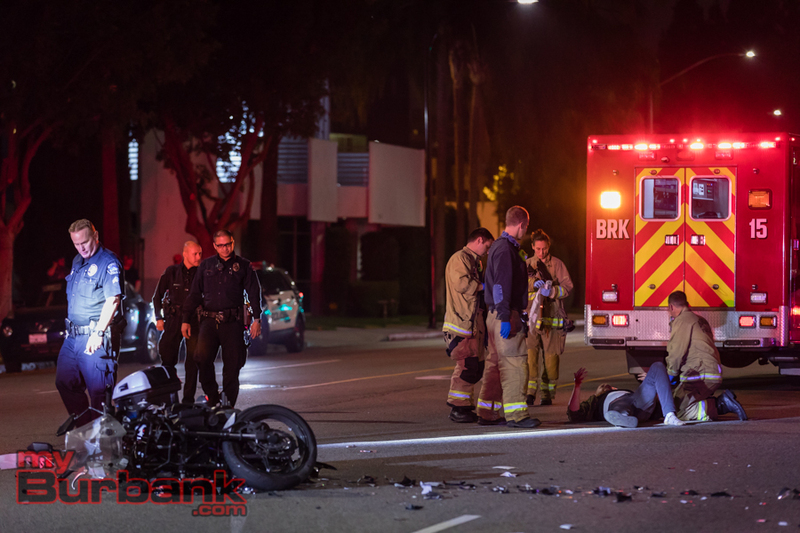 The second accident involved a motorcyclist on Monday, November 5 about 10:50 pm at the intersection of Naomi and Olive. According to Green, “An adult male was traveling west on Olive Ave. when a Volkswagen Jetta made a left turn in front him. 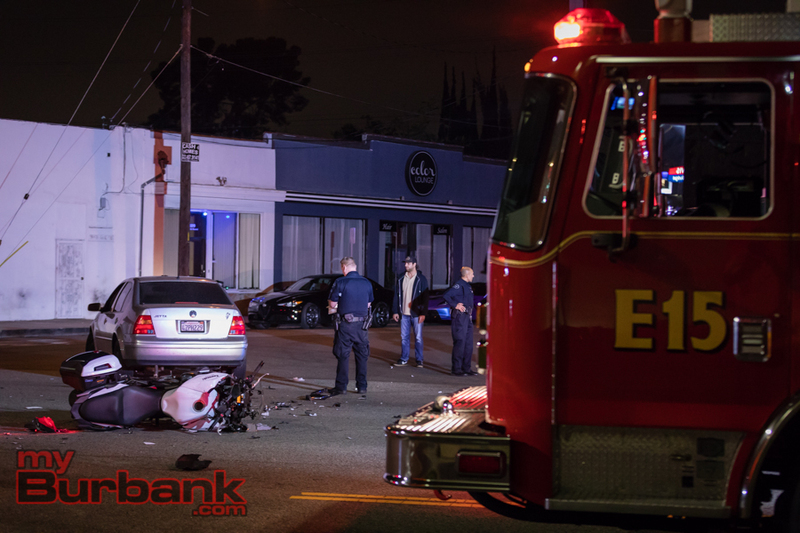 The motorcyclist collided with the vehicle, ejecting the rider. 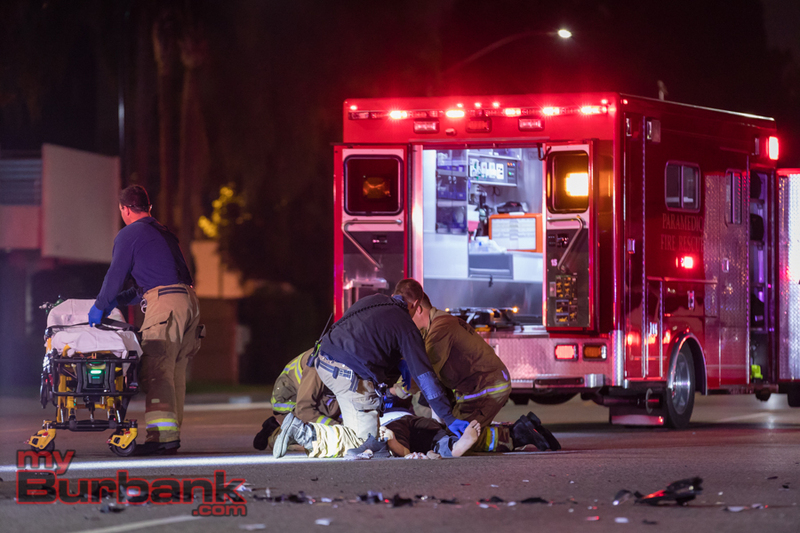 The driver of the vehicle, also an adult male, remained at the scene and was cooperative. 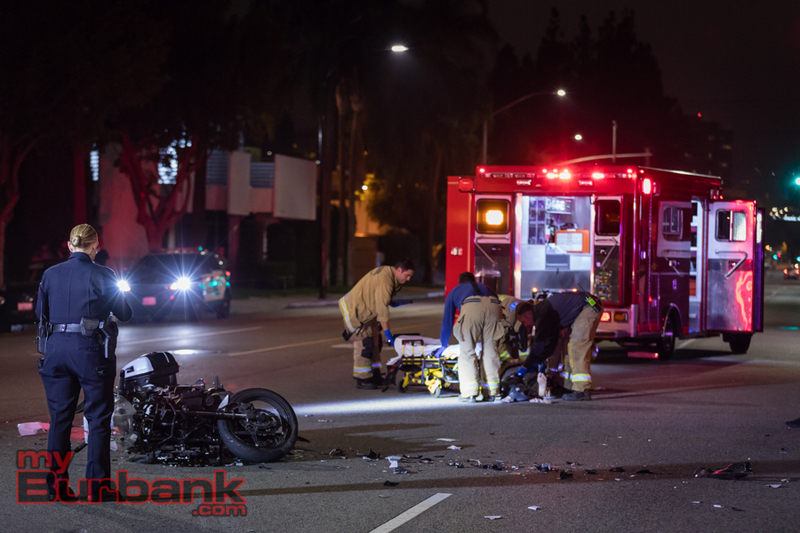 Drugs and/or alcohol were not factors.” The motorcyclist was transported to a trauma hospital. 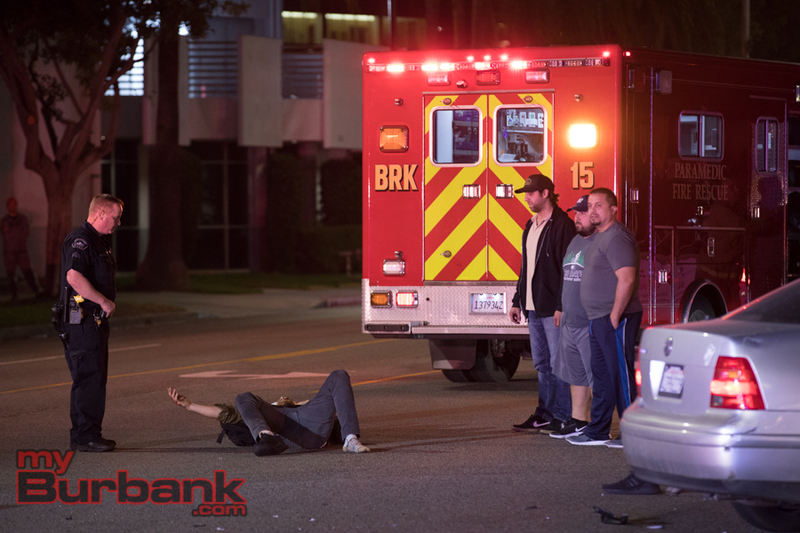 This entry was posted in News, Police and tagged Burbank Police Department, Traffic Accident on November 7, 2018 by Staff.